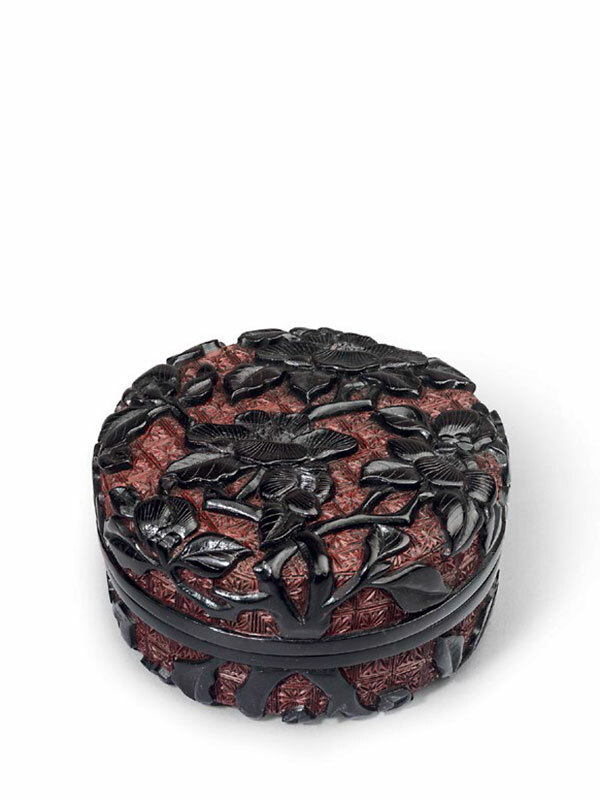 A lacquer box of circular form with straight sides, terminating in lipped rims. 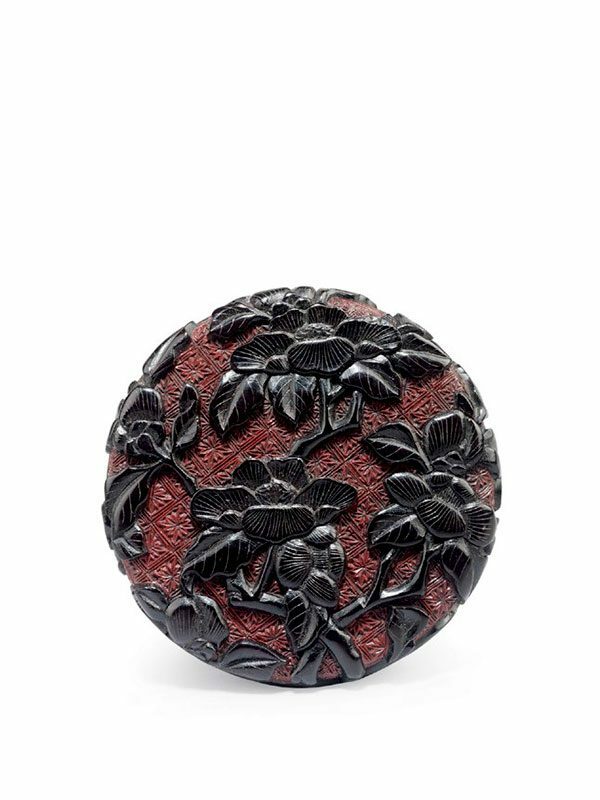 The flat top and base sections are similarly carved through a thick layer of black lacquer with an overall design of camellia flowers and leaves on branches. The naturalistic design is set against a cinnabar lacquer background of finely carved starburst diaper. The interior and the lipped rims are both lacquered black. The box is contained in an old Japanese wooden box and a silk pouch. The Metropolitan Museum of Art online collection archive, accession number: 2015.500.1.102a, b; this box was formerly in the Florence and Herbert Irving collection, New York.